LNLR: Loyal North Lancashire Regiment. 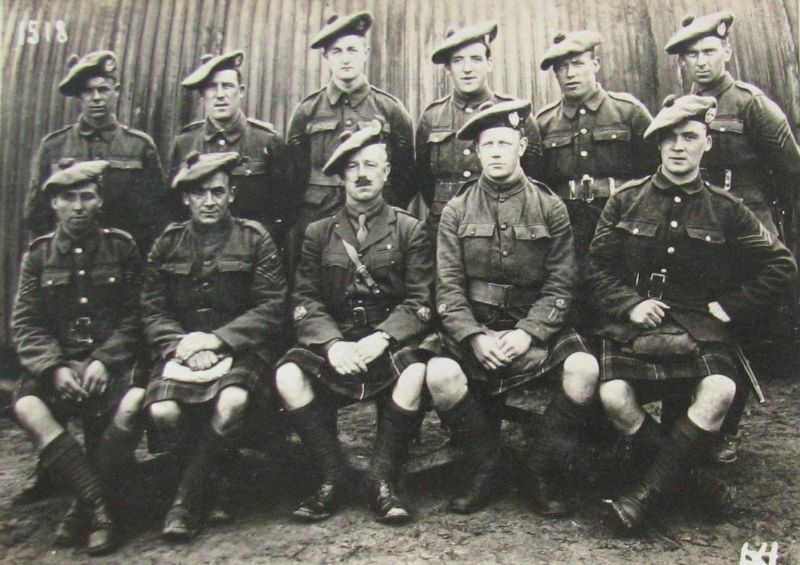 1/4 KORLR is therefore 1/4th Battalion, King’s Own (Royal Lancaster Regiment) - 1000 men at full strength [1/4th is said as ‘First Fourth’]. 55th Division had three infantry brigades, each of four battalions, 164, 165 and 166 Brigade. The Territorials of the 55th (West Lancashire) Diision had seen action on the Somme in August and September 1916 around Guillemont and Morval. 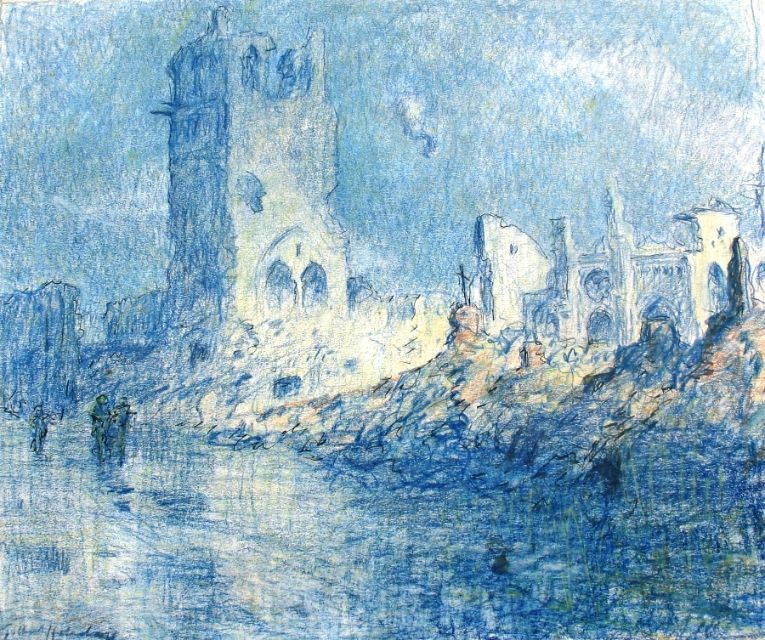 In October, they transferred to perhaps the hottest spot on the Western Front, the Ypres Salient. There they would train for the Third Battle of Ypres (often known, incorrectly, as ‘Passchendaele’) beginning on 31st July 1917. Belgium’s ancient moated and walled city of Ypres (Ieper in Flemish) is the centre of a semicircle of low hills a few miles to its east. Whilst the hills may be low, they command the city set in the otherwise flat Flanders countryside. The front approximated to the crest of these hills so that the British line jutted into German-held territory. This bulge was the infamous ‘Ypres Salient’ or simply ‘The Salient’. 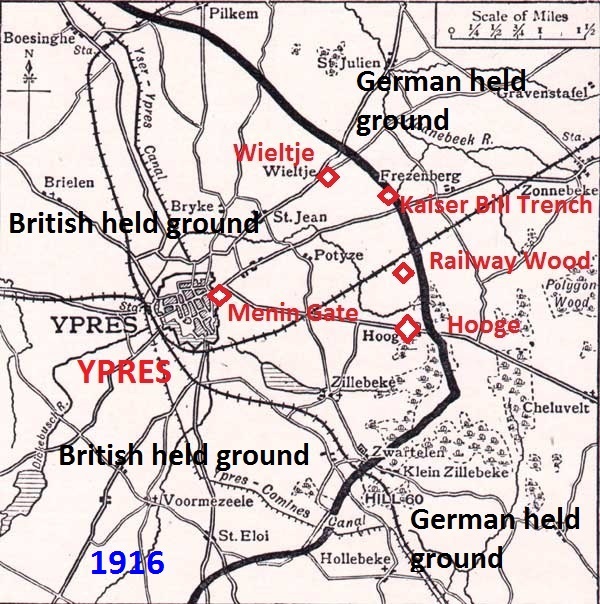 The Germans looked down and could fire from three sides onto Ypres. The Salient was a place more dangerous than most. 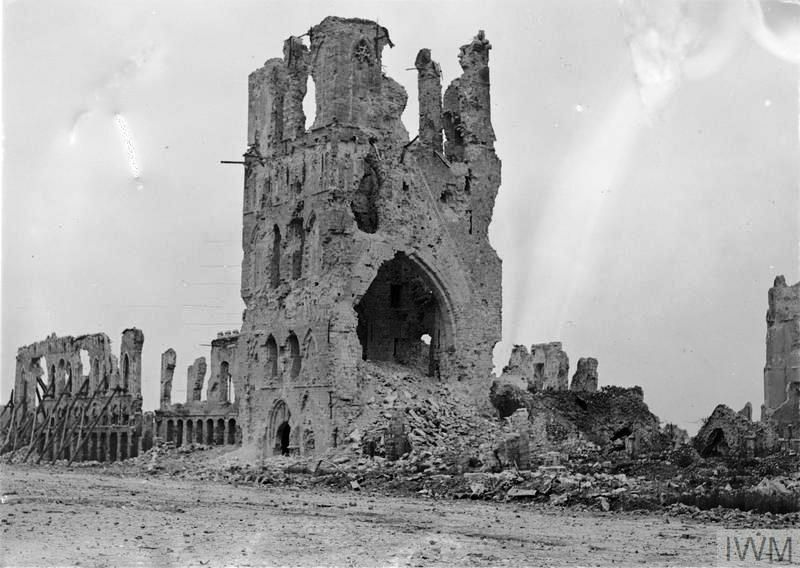 The famous Cloth Hall of Ypres (the cathedral-like wool trading hall, finished 1304) was progressively demolished leaving the great tower just a stump; it took until 1967 to restore. These ramparts billets merit special description. 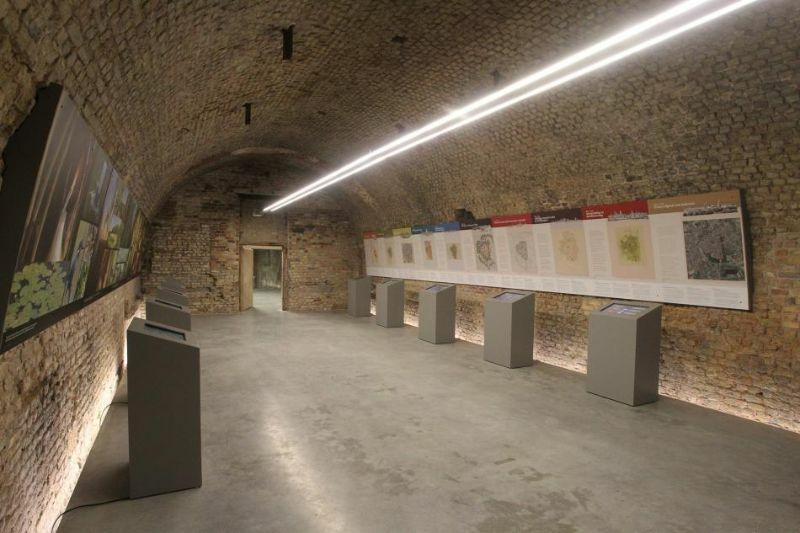 The city of Ypres is guarded on the east by a rampart and moat – this rampart being about 50 feet high and of equal thickness and formed of the earth taken out when the moat was dug and faced with brick …. 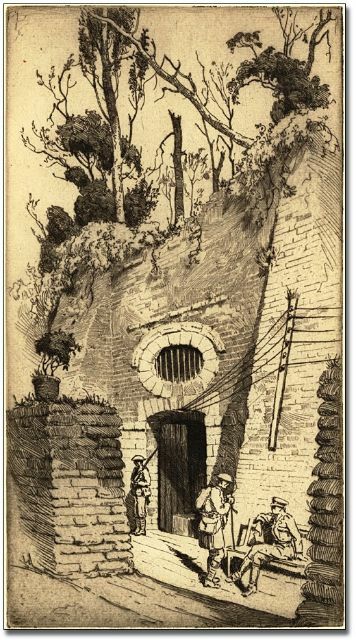 Under this [casemates] had been excavated – stuffy, cramped places filled with frames and props, dimly lit by electric light and generally overcrowded and always damp and rat infested – but places where the … reserve could lie down and sleep in comparative safety except for the danger of gas. 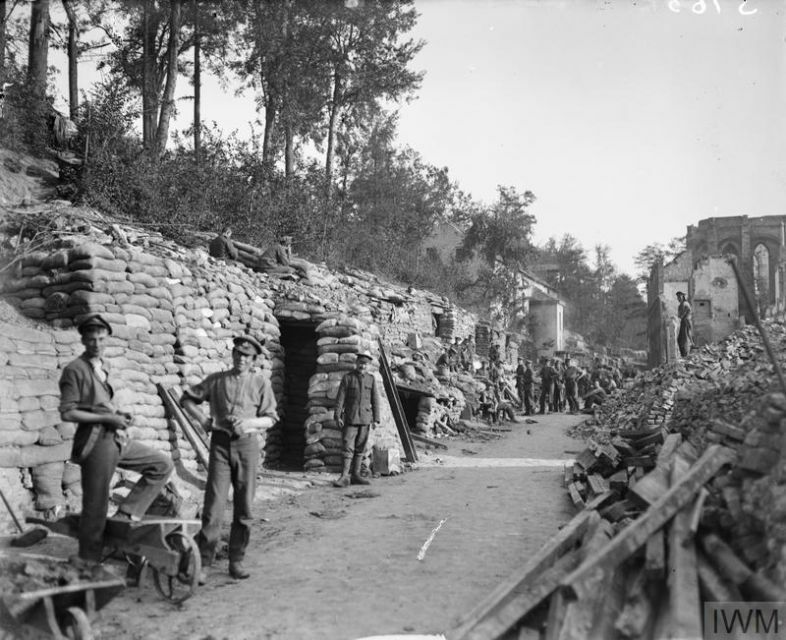 To the south of the Menin Gate, an ugly gap in these ramparts … was one of such [casemates] usually occupied by two companies, to the north another and a small nest of dugouts used for the officers. …. On the night of a relief – men would arrive in small parties in the pitch dark and stumble along the street which was always a foot deep in mud until they found the gas sentry when they would disappear within the dark entrance with a sigh of relief. 5/1/17: Army sausages become palatable [Irony after two days travel from Oswestry, presumably with sparse rations]. 7/1/17: Sunday not recognised here. First visit to Bull Ring. Grim reality of war brought home by the numbers of Wooden crosses … [Big Base hospitals were nearby] … Wrote home. Oh for the Old English Sabbath [He was a clerk and a Methodist lay preacher back in Liverpool]. 23/1/17 At Reinforcement Camp, Poperinghe. Saw Taube plane [German] under fire for first time. 26/1/17 Left Poperinghe for Nort Leulinghem Second Army School of Musketry. 1/2/17 Commenced Firing Course. 2/2/17 Coldest day ever experienced, boots frozen, blankets white. Oh for home. 4/2/17: “A day of rest and gladness”. A hard day’s work at [camp]. Oh for an Old time Sabbath.17/02/09 Reveille 3.45. Left 6am arrived … joining the battalion. I’m training and putting the wind up a draft of 70 of our own men and 14 officers so I have my hands full … took a stroll over to Guillemont [where we charged]. It is an awful mess, and for yourself alone, Colonel, some of our men have not even been buried yet, and are nothing else but bones. Railway Wood … was a tumbled mass of blue grey mud, honeycombed with slimy tumble-down trenches … with a few tree stumps … trenches were always being blown in by trench mortars and always under repair – miners and tunnellers worked incessantly … front line companies had a poor time at best – still worse for the unfortunate men who manned the isolated shell hole posts [forming] the right of the line … support companies lived in comparative comfort in BEEK Trench – until the Hun discovered that he could enfilade it from both flanks. Even in quiet times, the place was horrid – in times of stress it was a nightmare. Carefully prepared raids carried fighting to the enemy. Parties up to 200 caused mayhem, took prisoners and eroded enemy morale. 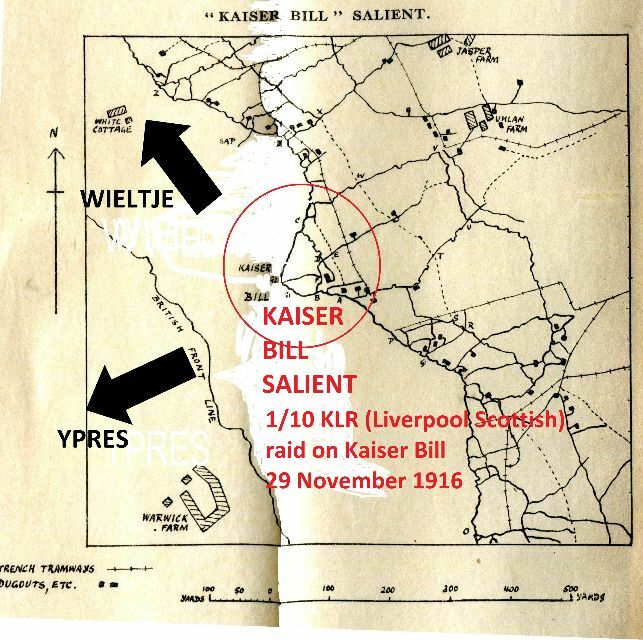 1/10 KLR raided ‘Kaiser Bill’ trench (Wieltje) in November 1916. Equipment and roles were detailed for all 86 men. Three weeks’ work brought success but training was so realistic that one man was killed and 11 wounded when a bomb exploded prematurely. These rehearsals were very practical in their value. A replica … of the enemy’s position … was marked out by tapes on the practice ground and times and distances were carefully noted. A full and final rehearsal on 21 December … and [the] raiding party of 200 [was] inspected by Sir Douglas Haig. James Little lies at Lijssenthoek amongst 10,000 soldiers and Staff Nurse Nellie Spindler (died of wounds received near Ypres, August 1916). Whalley recovered, returning in May 1917 but, posted to 8 KORLR, was killed within two days. 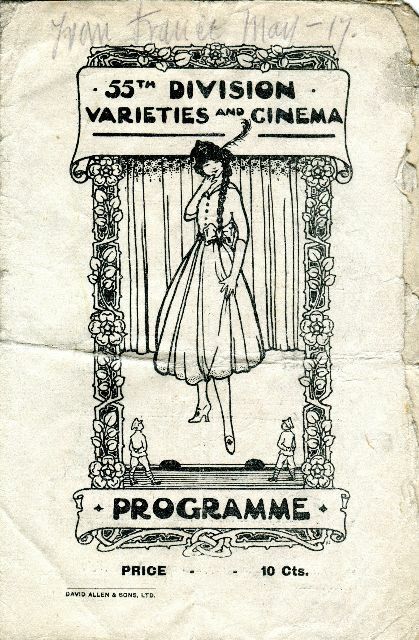 In the spring of 1917, more Lancashire Territorials arrived in France and Flanders. The 42nd (East Lancashire) Division returned from Egypt and Sinai (having previously been in Gallipoli) and the two second line divisions on Home Defence in the UK, the 57th (West Lancashire) Division and the 66th (East Lancashire) Division finally left England in February for France. Next page: Territorials Battle Desert Heat and Germany’s Air Aces.